The successful performance of THE HAROLD is the Holy Grail of any seasoned improv ensemble. It begins with a single audience suggestion. From that point on, anything can happen. It’s unpredictable. The improvisers are off and running, creating a humorous improv jam session, that has never been seen before and will never be seen again. The popular form of improv is simply called, the Harold, created by improv legend Del Close in the 1960s. 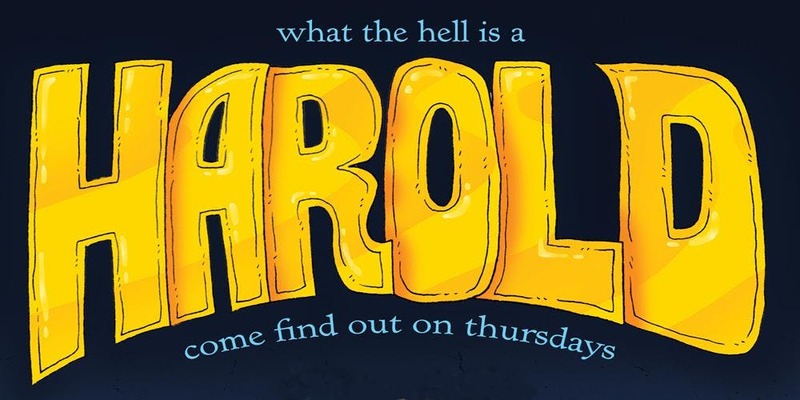 Join Unexpected Productions Improv Thursdays, as their resident narrative ensemble, Improv Anonymous, as they create meaning from your suggestion, by forming different stories scenes and games, crafting characters and themes that weave together to create THE HAROLD!